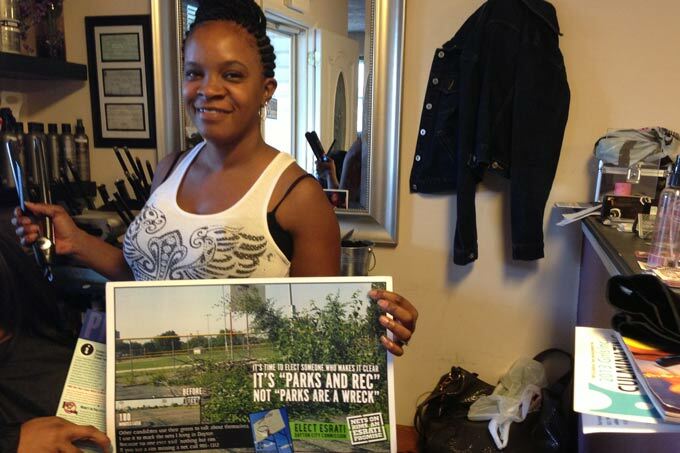 Ayonda Hayden knows the difference between parks and rec and the parks are a wreck. There are some people you just feel warm and fuzzy about the minute you meet them- I got that in overdrive when entering Ayonda’s Oasis at 3840 Salem Ave in Dayton, 45406. Maybe that’s why she calls it her oasis. We talked about the parks, charter schools and what we offer our kids, and that was after she stepped up and sponsored 6 nets. Thanks Ayonda!